The ancient practice of meditation has made a home in our modern culture for good reason. Learning to sit still and calm the mind can be a powerful antidote to the speed, stress and strain of our modern lives. In ancient times, meditation was seen as a potent tool for liberation and enlightenment. Today’s practitioners have discovered that meditation also offers more earthly and pragmatic benefits, helping us stay happy and balanced amid the busy-ness of our lives. 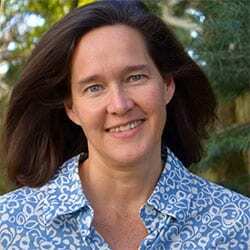 Perhaps you have read about the manifold benefits of the practice. Maybe you have friends or family who have taken it up. Or maybe you’ve even tried it yourself, but are scratching your head over how sitting still and paying attention can be such a balm in our busy world. Though the practice is simple, its benefits can be vast. I’ve been practicing meditation for more than 20 years, and I am still discovering new and rich benefits of this potent practice. But over and over I return to three of meditation’s most profound gifts, which can help us live in happiness, wisdom and peace, even among the craziness of our world. Meditation is a potent method of training the mind to behave better. 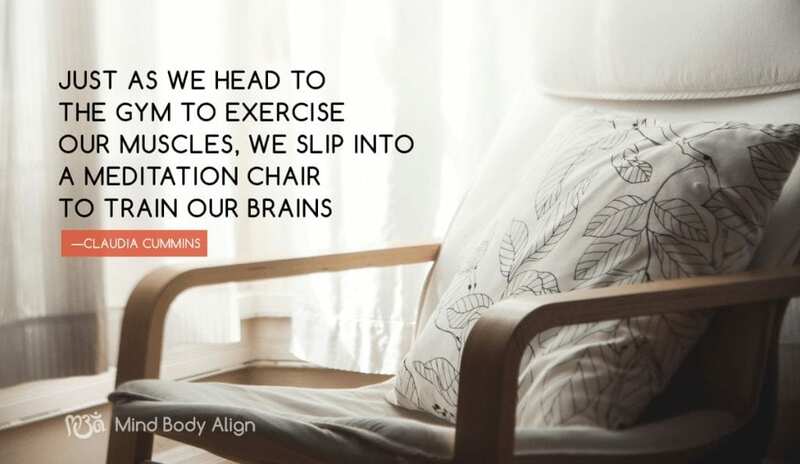 Just as we head to the gym to exercise our muscles, we slip into a meditation chair to train our brains. We teach our minds to focus, we guide ourselves away from unproductive thoughts, and we learn to act more skillfully and wisely. We can train those monkeys within us to behave in ways that support our lives rather than throw us off balance in sneaky and destructive ways. Over time, with patience and persistence, we sharpen our ability to settle with ease into the present moment, the only place where life can be truly lived. We train the muscles in our minds to act skillfully and wisely, in ways that support our deepest loves and values, and in ways that help not just ourselves but also the entire world. Have you ever been to the beach just after a torrential storm? The waves churn, the sand darkens the water, and debris bobs all about. Sometimes it’s impossible to see your toes as you wade along the shore. When the weather clears, though, the ocean quiets, the sand settles and the water once again grows clear enough to see all the marvels that swim amid the vast blue sea. This settling and clarifying process is just what meditation does inside of us. As our brains quiet, our stirred up thoughts settle. Life comes into cleaner and clearer focus. Delusions slip away. Wisdom bubbles up. We begin to see more clearly what our lives are all about and we are inspired to act in ways that support these fundamental values. As the lens of our awareness clears, we grow cleaner and more balanced. We learn how to respond with wisdom and care to both the delights and challenges that life throws our way. We develop skills that allow us to live in greater balance and harmony within, even amid the turbulence of the outer world. As we grow more adept at stilling the mind and seeing clearly the truth of what is, wonderful epiphanies arise. We fall into a more direct, intimate and keenly felt experience of life as it passes through us. We wake up to the sheer wonder of being here, now, participating in all the glorious joys and sorrows of the world. Birdsong sounds brighter. Water tastes cleaner. Chocolate tastes sweeter. A single smile warms our spirit all day. And the blue sky fills our hearts with a profound yet simple happiness. We fall wildly and wonderfully in love with all of life. Over time, our minds and our hearts grow more expansive and more whole. We sense a deeper connection between ourselves and every other creature in the world. We grow kinder and more tender-hearted. We begin acting not just on behalf of our selves but on behalf of all of life. And we understand more deeply that love is what matters most, in the beginning and in the end. Maybe you, too, would like to give this profound practice a try? Although a simple practice, meditation can be challenging to learn. Befriending those monkeys in the mind can take some time, and finding ways to train them toward wholeness takes patience and skill. Practicing with a friend or meditation group that meets regularly can be helpful, too. In the Mansfield area, both Mind Body Align and the Mansfield Art Center offer on-going meditation classes. Over time you may find, as I have, that meditation will become an ally and a good friend, saving your life every single day. Meditation will help you stay calm and centered. It will keep you in tune with your deepest loves and values. It will help you act wisely and with a tender heart. And it will return you both to your deepest self and to the widest world, in clarity, happiness and peace. Claudia Cummins has taught yoga and meditation for more than 20 years, and she invites you to join her Wednesday morning yoga group – or any other yoga class in the area – to savor the many benefits of the practice. Visit claudiacummins.com to learn more.